The attention of the Senate President of Lautech Students’ Union, Rt. Hon. 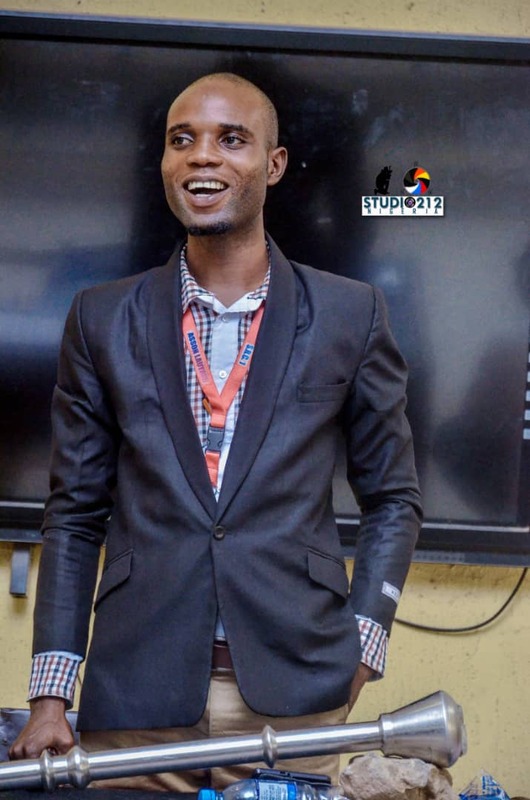 Usman Wasiu Babatunde, has been drawn to a public and media misconception trailing the suspension of the President and two other executives of the Students’ Union. One of the misconceptions is that the management of the institution was the one who suspended the Union officers. This press release is imperative in order to clear the air and give the true picture of the whole scenario that it was the legislative arm of the Students Union (SRC) that actually suspended the PRESIDENT , GENERAL SECRETARY and PUBLIC RELATIONS OFFICER owing to gross misconducts, breaching of the constitution and involving in act liable to threatening the integrity, Peace and security of the University Community. The University in the last few years has been plunged in to some crises leading to various industrial actions embarked upon by the academic and non academic staff unions. The past few months of the university has enjoyed relative peace and orderliness as the management is putting all efforts in ensuring the smooth running of academic activities. The ultimate priority of every Union officer is supporting the management in her quest to revive the ailing academic calendar. The affected Union officers in contrary embarked upon an act which could place the university in further crisis. Lautech as an institution is a very sensitive and critical place in this political dispensation as it is hallmark of politician campaigns. It is important for us to be apolitical and allow our students to exercise their franchise for their choices. The affected Union officers masterminded, planned and orchestrated the political campaign of two different political parties inside the campus on the same day causing unrest and disturbing the peaceful and serene atmosphere for academic activities without prior notification to the management and entire body of the Students Union. The Central Executive Council before then had been engaging in act breaching the Union constitution which the Parliament had been magnanimous in accommodating them for the peace of the university. At the emergency Senate sitting of the Students Union Parliament convened on Wednesday March 6, 2019, the entire House deliberated, reviewed and condemned the ugly and unruly acts of the Union officers. The House noted that every Union officer should always champion the cause that will improve the academics of the students and not undergoing acts that will threaten the peace and security of the campus because of selfish and personal gains. Senate Presiden tLautech Students Union ,Rt. Hon. Usman Wasiu Babatunde . The Union officers were charged to have breached Article 1, Section 2 (subsection 1 &2) of the Union constitution. In accordance to section 58 of the constitution empowering the Parliament to suspend officers of the Union, the legislative arm unanimously resolved to suspend the three Union officers viz: PRESIDENT , GENERAL SECRETARY & PUBLIC RELATIONS OFFICER for some specified period. I want to use this medium and opportunity on behalf of the entire students to appeal to the management of Ladoke Akintola University of Technology to rescind her decision in the proscribing of the Students Union and the reinstatement of the Union activities in order to protect the interest of the students. I am equally assuring the management that the Union in her capacity will support the management especially in the smooth running of the academic activities and in propelling the good integrity and image of the institution.